Hoover Fence Pre-Hung Chain Link Panic Bar Gates | Hoover Fence Co.
Hoover Fence Company's ready-to-install pre-fabricated and pre-hung panic bar gates make quick work of installing pedestrian gates with free egress. Gate kit assemblies arrive completely fabricated. Simply dig two fence post holes and cement posts in place with posts plumb, or mount to concrete surface with posts plumb. Our panic bar kits allow for free exit in an emergency simply by pushing on panic bar which releases the gate latch for free egress. Installed lock box allows for controlled entry with a provided keys. Standard Kits are designed for in-ground installations allowing for post lengths sufficient to concrete into the ground. Pad mount kits are available as an option allowing these kits to install on concrete surfaces. Panic bar gates feature weatherized Detex D-6003 surface mount panic bar, 24"H mounting plate, adjustable receiver bracket, lock box, and keyed cylinder with two keys. All panic hardware installed with stainless steel fasteners. Heavy-Duty 3" round HF40 or 3" square 12ga. galvanized perimeter frame with post caps. Header placed approximately 7' above grade on 7'H x 4'W models and 6' above grade on the 6'H+1'B x 4'W models. 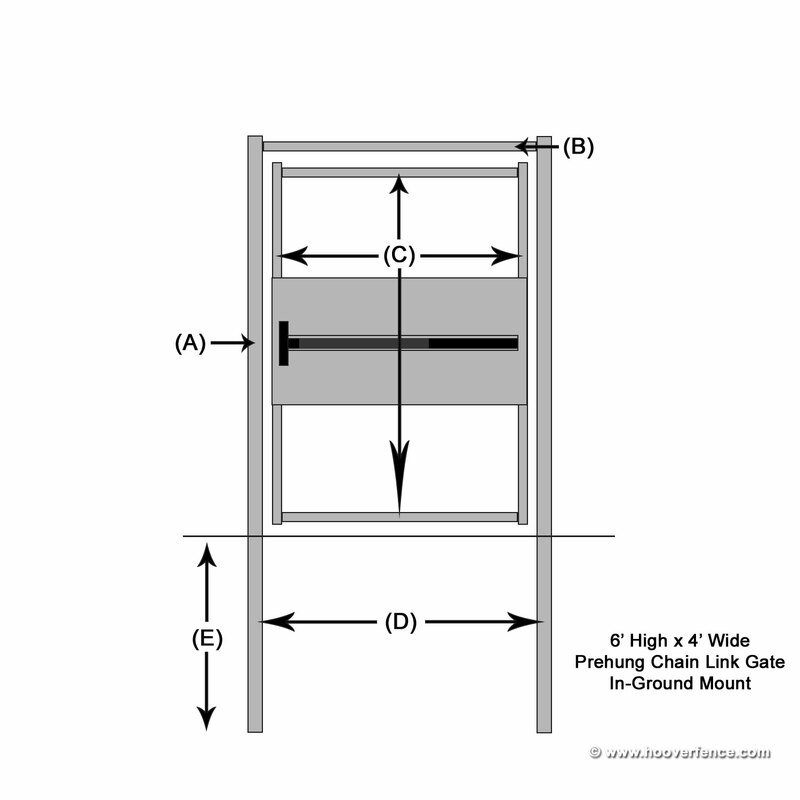 Fully welded commercial grade chain link gate, pre-hung in perimeter frame. 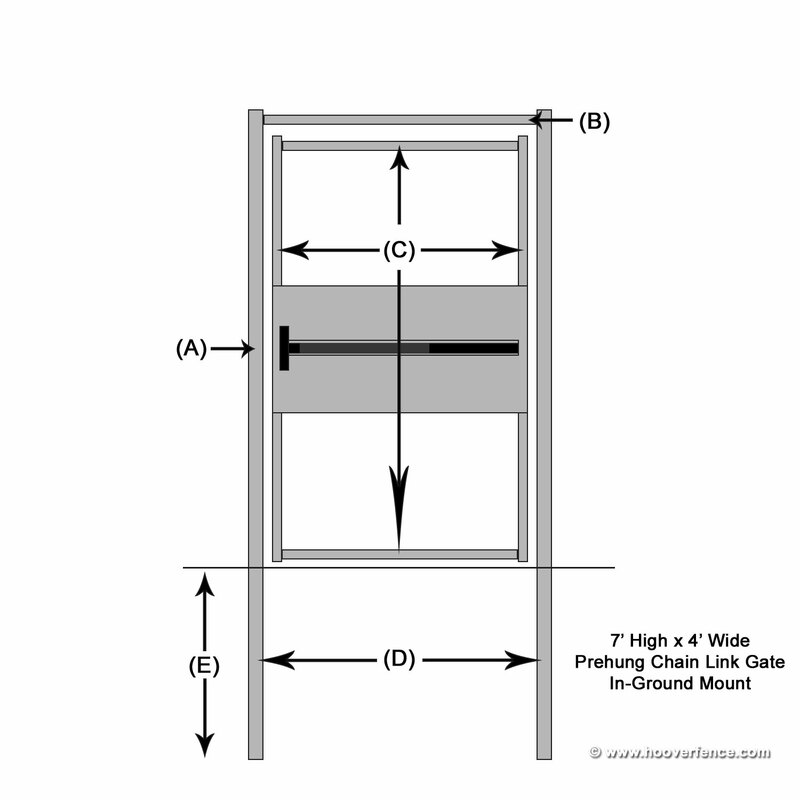 Gate frame constructed of 2" round HF40 or 2" square 14ga galvanized framework. Gate comes fully stretched with 9 Gauge galvanized chain link fabric. Note: Pre-fabricated gates are custom made-to-order products and for that reason, once order is paced, it may not be altered or cancelled. Gates are non-returnable. 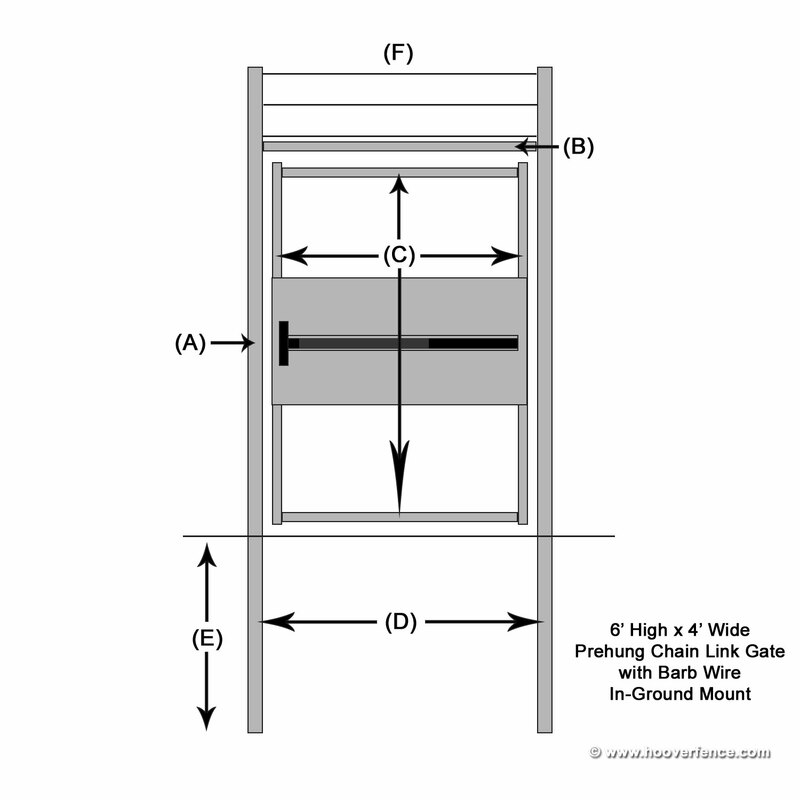 All of our Pre-Hung Panic bar gates feature a 24" tall security shield and Detex V40 Series Panic Bars. Individual specifications listed below. Depth in Ground (E): Approximately 36"